Your wedding day is coming up and you have started to make a list of the things you have to plan and prepare for. The people who will compose of your entourage, your wedding catering services provider, your garments designers, the wedding cake, the wedding car, and the venue of the big day are among the most important things you have to consider. 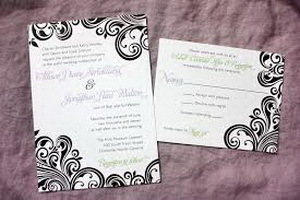 But before anything else, everyone should be informed of the wedding by a formal invitation. 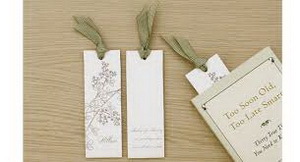 In this article, let us look at five interesting DIY ideas that will add an extra oomph for your invitation card. Think about having a logo for the wedding event. It may be a picture of you and your spouse-to-be smiling at each other or a fancy lettering of your names together. It may also be a caricature of your faces. No matter what fun picture you can think of, creating a customized stamp on the invitation card’s envelope is such a cool idea. No other stationary store or stamps shop can offer the same. You can print it at home by yourself or ask a business card printing office if they can print it for you. 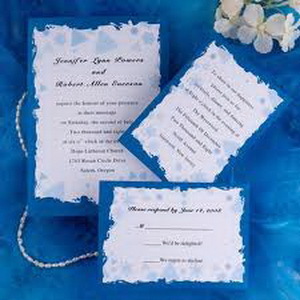 Instead of the usual rectangular or square-shaped invitation letter, you can make unique borders such as heart, flower, butterfly, or even a diamond to add to the punch. You can visit your local scrap-booking or stationery store to insert stickers and make the most fun out of the paper material. There are also scissors and punchers you can buy from the bookstore which can help speed up the designing of the borders. Typewriting the details on the invitation card is too cliché. It is a great idea if you can use a calligraphy pen that’s colored white or silver on dark envelopers. Practice writing and see tutorials online to learn the basics. An invitation made with calligraphy will look modest. Your guests will appreciate the fancy writing for sure. An invitation card with a ribbon or yarn attached? Why not? 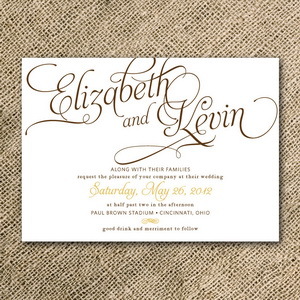 The wedding invitation does not always have to be something too formal as a letter. Consider quirky ideas like making it usable as a bookmark or a page-saver for those guests who are fond of reading novels. It can be made out of a heavy cardstock-like paper that acts as the support for the bookmark. Make a collage of personal images then cover or laminate it with plastic to avoid damages. 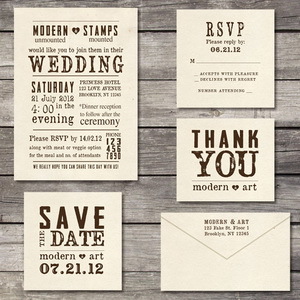 For a more homey feel, incorporating patterned accents to the wedding invitation will look the most unique. To make this, choose a fabric, a corner rounder, and sew the fabric by a sewing machine. This approach is more budget-friendly than color printing. It will also look more elegant, classy, and timelessly beautiful.